I’ve recently tried Klorane for the first time and you can read that previous review here. 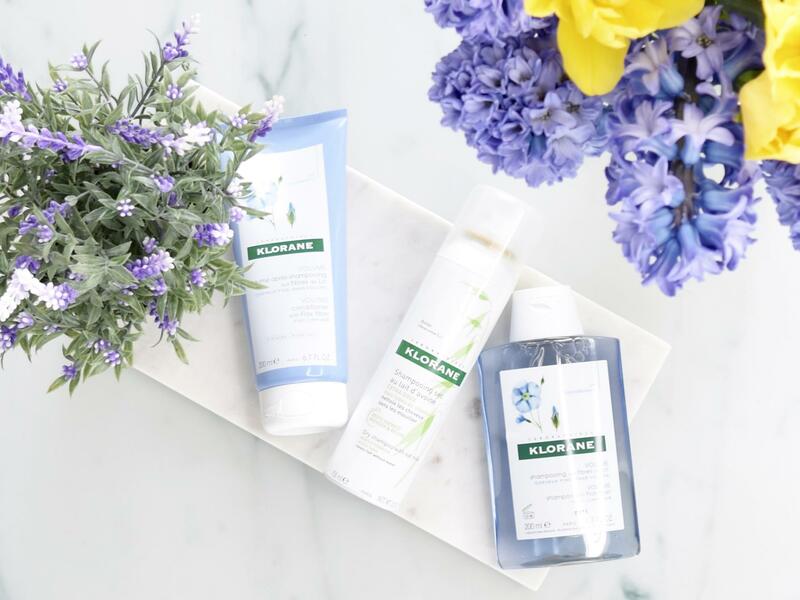 Klorane Laboratories fuse nature’s best botanical elements with scientific expertise. The Klorane shampoo and conditioner with flax fiber are for limp, fine, lifeless hair. I had my hair extensions out for a few weeks in between appointments so Klorane sent me these products to try and help me out. Without my hair extensions, I was having a bit of a meltdown as my hair was so flat and I was desperate to find something that would help. And on a completely unimportant but seriously important note. How pretty are they? They’re so aesthetic! The Klorane shampoo with flax fiber is for limp, fine, lifeless hair. Aka, my rubbish barnet. I have to wash my hair 3/4 times a week when my hair is left natural. But then most shampoos either strip all of the moisture out leaving it fuller but dry and crispy or do the opposite. The ones that are in any way moisturising just leave my hair flat as a pancake. 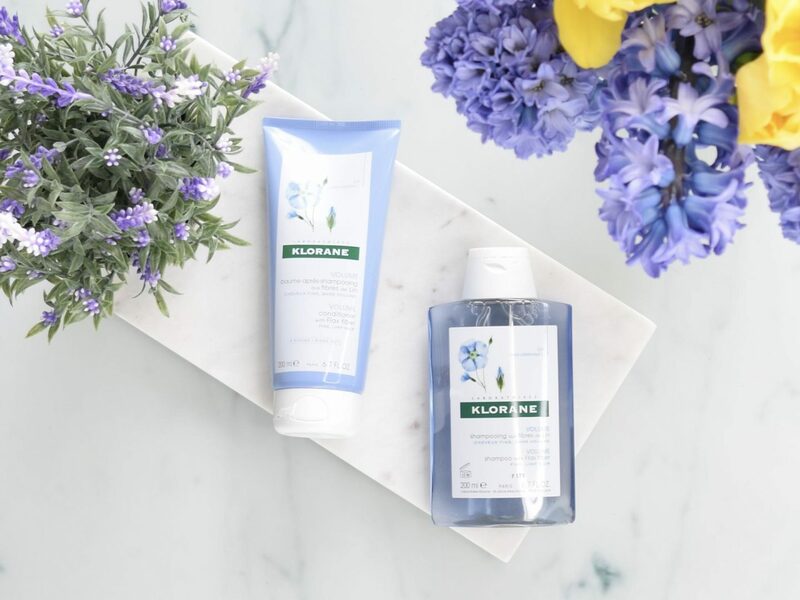 The Klorane volumising shampoo cleans your hair and removes any sweat, product build up and dirt without stripping all of the moisture in your hair. This shampoo left my hair feeling soft, but not silky and flat. I love that the conditioning balm with flax fiber leaves my hair feeling clean and bouncy and doesn’t weight it down. The scent is lovely but not overwhelming so it doesn’t compete with your perfume. One thing to note is that it’s not as creamy as most conditioners I’m used to, but it leaves my hair soft without being weighed down at all. Great product! Free of silicones and parabens, this creamy formula leaves hair touchably soft and luminous. I’ve been so pleasantly surprised with Klorane products. I wish I had started using them earlier. The prices are so reasonable and Lookfantastic, where I would have linked both so you can buy them (but they are now sold out), often has money off and pretty quick shipping. I had to link to them for the shampoo as I couldn’t find it anywhere else in the UK but I guess that means it’s popular! Products provided for review, not sponsored.